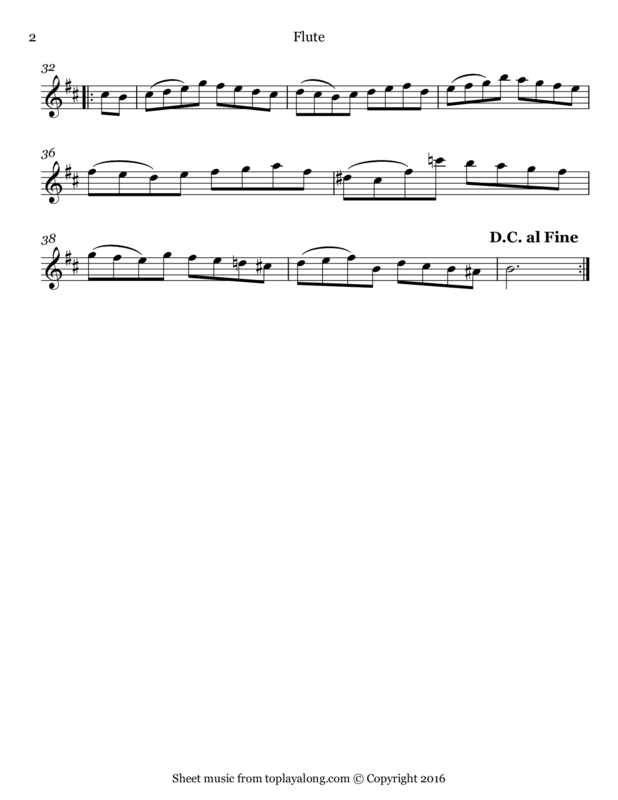 Fourth movement (Bourrée I & II) of the Orchestral Suite No. 2 in B minor, BWV 1067, scored for strings, continuo, and solo flute. 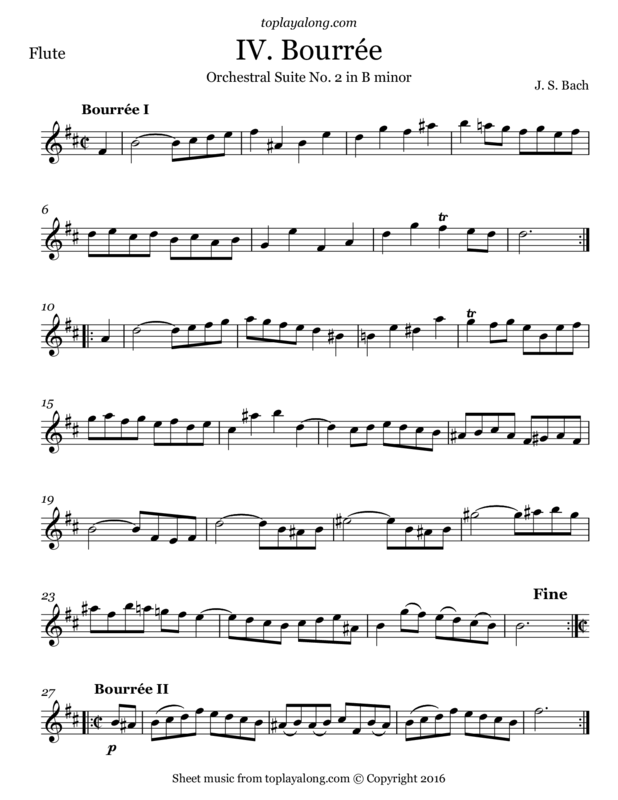 The bourrée was a French dance in quick duple meter, usually with a single upbeat. In this suite, Bach uses two bourrées in a da capo format. Each is a complete binary movement (a movement in two distinct sections, each repeated), but after the second is completed, Bach writes "Bourrée I da Capo", indicated that the first is to be played again.